NBC’s final round coverage from Carnoustie golf links in Scotland earned a 5.0 overnight rating. That tied for the highest-rated final overnight since Woods completed the career grand slam at the Old Course in St. Andrews in 2000 (7.4 on ABC) and his win at Royal Birkdale in 2006 (5.0 on ABC). With the 14-time manor winner making a weekend charge, NBC’s overall coverage was up 38 percent vs. Jordan Spieth’s victory at Royal Birkdale in 2017. Sunday’s action marked the highest-rated final round for any major tournament (excluding the Masters) since Jason Day won the PGA Championship at Whistling Straits in 2015. Besides Woods, there was plenty to like about NBC’s coverage. Lead analyst Johnny Miller was blunt, outspoken and colorful as usual. He marveled at the “amazing” swing speed exhibited by the 42-year-old Woods despite his multiple back and knee surgeries. His rebound with the wedge was Greg Norman-like, Miller said. But NBC’s on-air team rightly questioned Woods’ decision to try a risky flop shot around the green on No. 11. That led to a double-bogey. He never recovered. I loved NBC’s popular “Playing Through” split screen commercial format, where TV viewers saw ads on one side of the screen and live action on the other. The format enabled NBC producers to telecast an extra 181 life golf shots. I also liked NBC’s touching scenes of Woods hugging his two young kids after finishing in a three-way tie for third place. 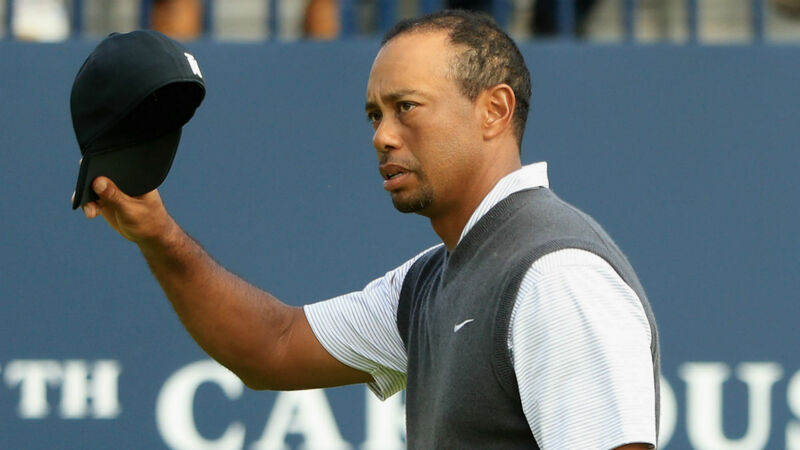 Tiger Woods, ‘mythical creature’? ?